Iran has denounced US Secretary of State Mike Pompeo’s claim that Tehran is interfering in the internal affairs of Caracas, saying Washington is the one that must stop meddling in Venezuela and targeting its nation with “economic terrorism”. According to Press TV, the remarks were made by Foreign Ministry Spokesman Seyyed Abbas Mousavi, who described the claim as “ridiculous” in a Sunday statement. Mousavi said a group of Iranian specialists are trying to “improve the water and electricity systems in Venezuela” at the request of the country’s government. This comes as “the US has plundered $30 billion worth of Venezuela’s foreign-exchange reserves, is targeting the Venezuelan nation with its economic terrorism, asking them to either riot against their legitimate government or face starvation,” he added. The comments came after Pompeo claimed that Iran has a financial presence in South America. 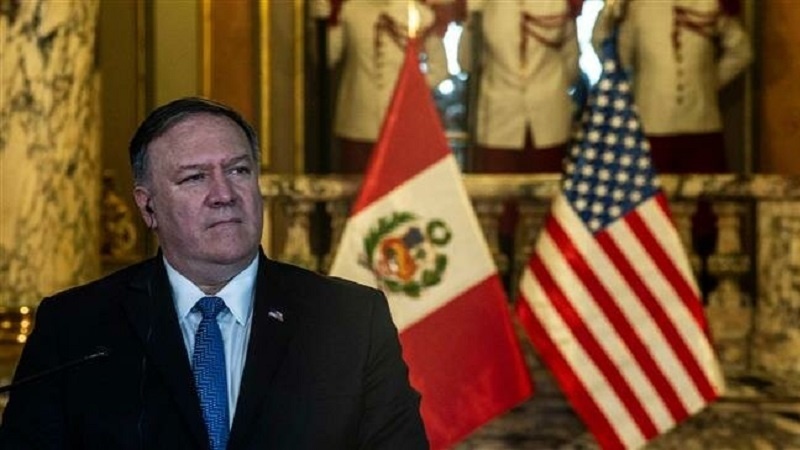 “Iranian money remains in South America being used for malign purposes, supporting Hezbollah, supporting transnational criminal organizations, supporting efforts at terrorism throughout the region,” Pompeo told the Voice of America on Saturday. “This is Iran intervening in South America. That’s not in the best interests of the South American people, and the United States stands ready,” he added. Pompeo spoke during a stop in Paraguay on a trip that Washington has said will focus on developments in Venezuela. Washington has been pressuring Venezuelan President Nicolas Maduro to step down and urging more countries to join the coalition supporting Venezuela’s opposition figure Juan Guaido who declared himself “interim president” in January. The Trump administration has imposed a raft of sanctions against Maduro’s government and even threatened to use military force in an attempt to remove him from power. US-imposed sanctions have hurt the Venezuelan economy as well as ordinary people, who are already suffering from hyperinflation and food and medicine shortages, triggering mass migration to neighboring countries, such as Peru and Colombia.